Click here for the 2014 list! UPDATE 12/17/12: the deadlines coming up this week and beyond are highlighted. There are only 13 more shopping days until Christmas, but for most toy drives in the San Francisco Bay area, the deadline is looming over the next several days to ensure less fortunate children and teens receive gifts in time for the holiday. If you’re already out shopping, consider picking up a new toy, or grabbing an extra gift card (much easier for teens), to donate to one of the many drives. 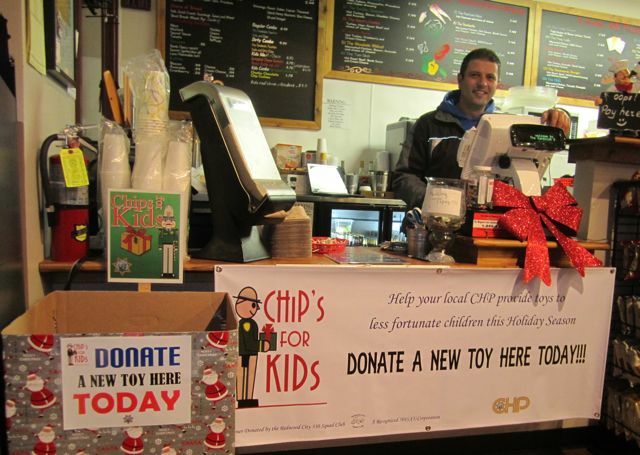 Here’s our extensive list of local holiday toy drives, their drop-off locations, needs, and deadlines, organized by area. For donating new or like-new books, check out our previous post on the Gift of Reading, which has drop-offs mostly in the South Bay, with one in Redwood City. Deadline is Sunday, Dec. 16. Can’t drop off a toy or book? Click on the name of the organization to go to its website (if available); many are taking online donations, or provide addresses for sending checks. For the second year in a row, Santa Clara-based tech company Nvidia threw an employee holiday party in the guise of a massive volunteer service event under its Project Inspire Banner at a local nonprofit farm. About 500 employees, family members, and friends invaded Veggielution at Emma Prusch Farm Park in San Jose on Friday, Dec. 7, and another 1,000 hammered, sawed, dug holes, hammered, painted, and more, on Saturday, Dec. 8. It was a redux of Project Inspire’s 2011 holiday service event, when a similar number of Nvidia employees and others expanded Full Circle Farm in Sunnyvale. Nvidia stopped having company holiday parties about a dozen years ago, substituting with service on a smaller scale. About six years ago Project Inspire was launched, and each year the projects got bigger. The Gift of Reading, a once popular annual Silicon Valley holiday charity drive, has only collected about 2,000 books so far this season, according to San Jose Mercury News columnist Mike Cassidy. He put out a call on Friday for local residents to step up and donate a new, or like-new, book for a child by the Sunday, Dec. 16 deadline. At its height, Gift of Reading collected more than 80,000 books for children who couldn’t afford their own books. The program nearly died last year, but was revived by RAFT, the Resource Area For Teachers, in San Jose, according to Cassidy. A complete list of drop-off locations, most bookstores and libraries, is on the Mercury News website. You can also make a credit card donation to the program on the RAFT website. Everywhere you turn on television, the Internet, newspapers, magazines, etc., there is food. How to buy it, cook it, eat it. Competitions to find the best people to cook it or bake it. And at the holidays it only seems to amplify, with an endless array of special foods to enjoy, or on which to splurge and indulge. And yet for an estimated 700,000 people in the San Francisco Area each month, food—especially healthy food—is limited, and often by the end of the month, nonexistent. In one of the richest metropolitan areas in the country, 700,000 people—just under the population of San Mateo County—are hungry, and even starving. That’s why those of us who have enough food, and in many cases, so much food that we’re throwing it away, need to chip in and help our neighbors who do not have enough. If you are so inclined to help others facing hunger this holiday season, it is very, very easy to donate food or money. Nearly every supermarket has a food bank barrel near entrances. Buy some extra cans or boxes and drop them in the barrel on your way out. Donating online is also simple. 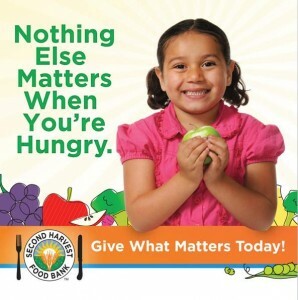 Good Neighbor Stories is sponsoring a virtual food drive for Second Harvest Food Bank of Santa Clara and San Mateo Counties, with a goal of raising $1,500 by Jan. 1. You can click on the link right now and give a special holiday gift for a local family. 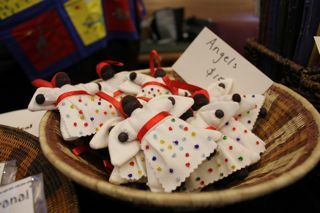 It does not have to be a large gift; any size donation is gratefully accepted. This year we’re offering a special gift for anyone that donates $100 or more: a free copy of the Good Neighbor Stories 2013 Datebook! Just send us a soft copy of your donation receipt. Please help us reach our goal, and help local families and individuals be a little less hungry and food insecure at the holidays and into the New Year. Thank you! The largest employee service event in Silicon Valley, Nvidia’s Project Inspire, is set totally transform the urban farm Veggielution this coming weekend, Dec. 7-8, similar to a major urban farm project the group undertook last year at Full Circle Farm in Sunnyvale in lieu of a company holiday party. 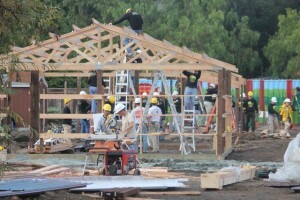 Project Inspire’s 2011 event at Full Circle Farm is featured in the Good Neighbor Stories 2013 Datebook. This year approximately 1,500 employees, their families and friends, and other community workers, are expected to descend upon Veggielution, located at Emma Prusch Farm Park in San Jose. In just two days the group is planning on expanding the farm from two acres to six. Projects include building a permanent farm stand, a teaching kitchen, and a produce washing and packing shed. Project Inspire’s volunteers will also install new irrigation, plant native hedgerows, and complete many other tasks. Veggielution’s Executive Director Amie Frisch called the massive influx of employees along with an investment of $300,000 from Project Inspire a “game changer” for the farm. Be inspired every day in 2013! Get your limited edition Good Neighbor Stories 2013 Datebook today! The most popular post on Good Neighbor Stories is from two years ago about Dave Severns and his Severns-Pease Christmas Display in Sunnyvale. During the 2010 holiday season alone, Dave raised $84,000 for Second Harvest Food Bank of Santa Clara and San Mateo Counties, $4,000 over Dave’s goal for the year, and nearly $30,000 over the previous year. 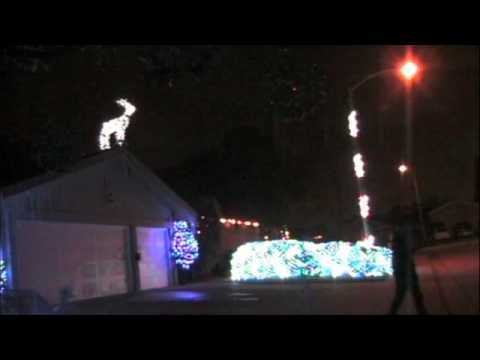 Dave passed away in October 2011 from cancer, and the family opted to not continue the popular—and labor intensive—display of 88,000 lights. His legacy lives on, however; a group of friends launched a golf tournament in his name this year, to benefit Second Harvest. 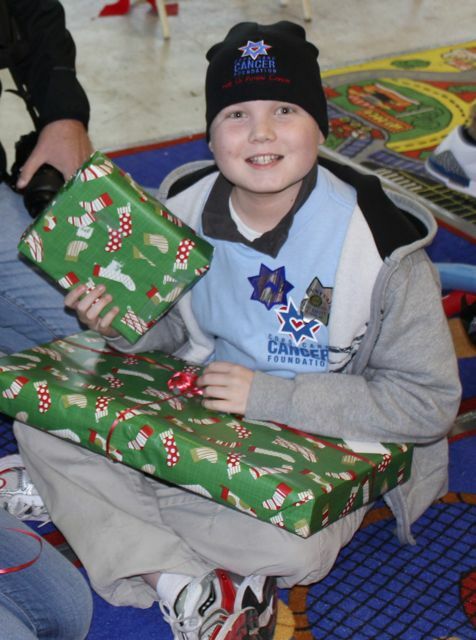 Last year this website launched a virtual food drive in his memory, raising nearly $1,400. We’re repeating the drive again this year; I hope you’ll consider donating to help end hunger in Silicon Valley. The display is also featured in the Good Neighbor Stories 2013 Datebook, with photos provided by the Severns family, and a story about Dave. Did you ever see the Severns-Pease Christmas Display in person? Share your memories with us in comments! If you’re planning on buying a fresh Christmas tree this season, why not purchase one that not only brings cheer to your family, but to many others in the community? We’ve compiled information of where some of the charity lots around the San Francisco Bay Area are located, and put together a handy interactive Google map to help you find one near you. 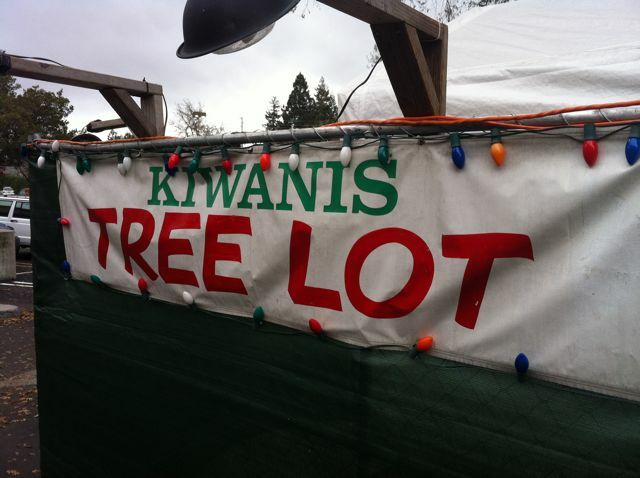 While most of the lots on the map are operated by nonprofits and will be open for the next few weeks, two lots are commercial ones hosting fundraisers the first weekend in December. Peacock Tree Farm in Los Gatos is having a special event on Saturday, Dec. 1, for the Loma Prieta Public Education Fund, from 8 a.m. to 4:30 p.m. In San Martin Battaglia Ranch is hosting the annual Trees for Troops program Saturday and Sunday, Dec. 1 and 2. See the map for more details. Did we miss a Christmas tree lot helping others this year? Share the information with us in the comments, and we’ll add it to the map. We’re Kicking Off Our Second Annual Virtual Food Drive! I’m proud to announce that for the second year in a row, Good Neighbor Stories is hosting a virtual food drive for Second Harvest Food Bank of Santa Clara and San Mateo Counties. Last year we raised almost $1,400 to feed local hungry families and individuals, exceeding our $1,000 goal. 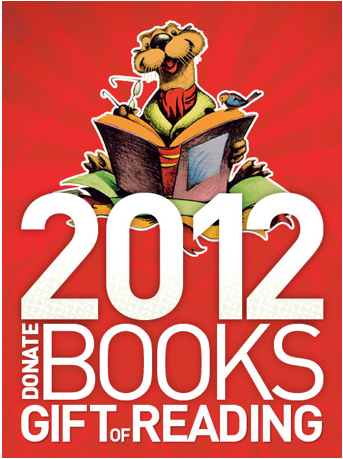 This year the goal is to raise $1,500 between now and Jan. 1, 2013. Second Harvest officials estimate that they help one person out of every 10 in Silicon Valley. The organization does an efficient job of helping those hungry people: for every $1 donated, officials estimate that two meals are provided. The efficiency extends to the online donation process, which was streamlined considerably this year. Last year’s process was a little more cumbersome, but Second Harvest apparently listened to input and made necessary improvements to the system. To donate to the Good Neighbor Stories Virtual Food Drive, go to our donor page and fill out the form. The whole thing takes only a minute or two. 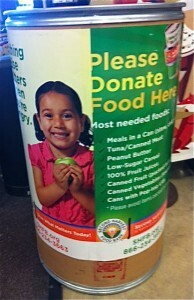 Any amount is greatly appreciated, and will make a difference in the lives of local hungry families. This year I’m offering an incentive to the first 10 people willing to donate $100 or more to the virtual food drive. Email me a copy of your receipt, and in return I’ll send you a thank you gift of the Good Neighbor Stories 2013 Datebook, free of charge. You’ll feel good about helping others, and all throughout next year using the datebook. Please consider making a donation today. Thank you!